Q. 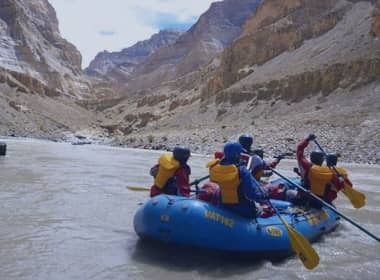 How can we reach Ladakh? Answer. There are three ways to reach Ladakh- 1) you can take flight from Delhi to Leh from major airlines such as Indian Airlines or Jet Airways. 2) You can take road journeys either from Manali or Srinagar. It takes 2 day journey (474 kilometers) from Manali to Leh via Keylong with a night stopover in Sarchu. On the other hand, Srinagar to Leh will take 2 days (434 kilometers) with a night halt at Kargil. All the roads remain open from May to October. Q. 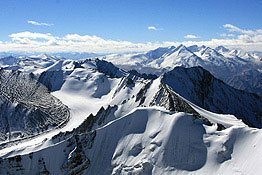 Is there any lack of oxygen in Ladakh? Answer. Anybody travelling 10,000 above sea level will find difficulty in breathing or is likely to fall prey to altitude sickness. It happens due to low level of atmospheric oxygen. Q. What are the symptoms of High Altitude sickness? How long does it take to get acclimatize in Ladakh? Answer. Some common symptoms of high altitude sickness include giddiness, loss of appetite, lack of sleep and difficulty in breathing. The best way to get acclimatize in Ladakh is a natural rest for at least 48 hours. Q. What kind of accommodation is available in Ladakh? Answer. Ladakh hotels are segregated into four different categories- A, B, C and D. When it comes to A class hotels, their facilities and services are simply comparable to any 3 star hotel. Each hotel in Ladakh is designed with traditional architecture of the region and feature oversized rooms equipped with modern amenities. These rooms are furnished with Ladakhi and Tibetan décor. Q. How about a road journey to Ladakh? Answer. 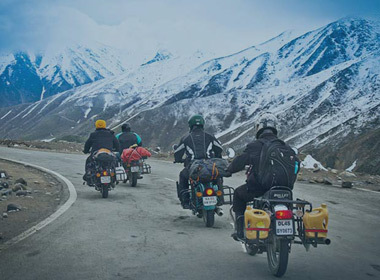 For those who love biking and adventure of a Himalayan drive, a road journey is the best way to experience it. Q. 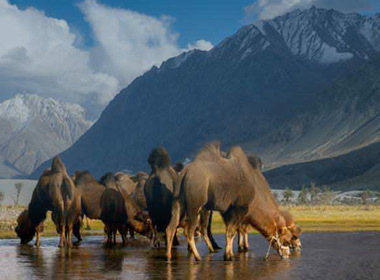 How many minimum days are required to explore Ladakh? Answer. Besides first two days of acclimatization, you need a minimum 15 days time to explore the region as many villages and monasteries of interest are scattered far away. 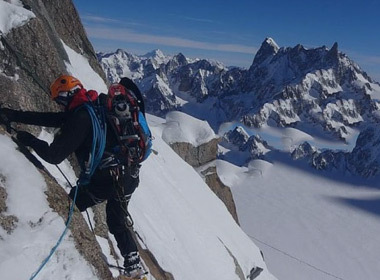 It might be possible that you want to try hands in mountain trek so you need more time. Q. What kind of clothes should we bring there? Answer. T-shirts and shorts can do during the daytime but after evening the climate gets chilly and one requires jacket and pullover. If you are trekking 4000 meters above sea level, you need warm woolen clothes. Rain and snowfall can take place in June and July and therefore wind cheaters and raincoats are good. If you are into trekking, a pair of waterproof shoes is a must. Q. What kind of tourist vehicles are found in this region? Answer. Leh has a good fleet of tourist vehicles which include Toyota Qualis and Mahindra Scorpio vehicles. You will not find auto rickshaws here. Q. Are there any ATM’s in Leh? Answer. Leh has four ATM’s owned by Axis Bank, Jammu and Kashmir Bank, Punjab National Bank and State Bank of India. Q. Do credit cards work in hotels and restaurants? Answer. Yes, credit cards are accepted in a few hotels and restaurants but 2% service tax is charged. Join in our newsletter to get the latest packages!